Eclipse Travel is an Australian-owned company that specialises in travel to incredible, unique and sometimes remote destinations such as Antarctica, the Arctic, and South and Central America. Because of the time the Eclipse team has spent abroad, Eclipse knows exactly what the modern traveller wants from a destination specialist and offers an honest and informed approach to planning your holiday. Eclipse Travel is the Polar & Latin America Specialist. Let Eclipse plan your next adventure! Everyone at Eclipse Travel loves travel – and it shows in the way the company is run. Eclipse's travel specialists are endlessly enthusiastic and have intimate, firsthand knowledge of the destinations it offers. Eclipse prides itself on the outstanding, personal service that you'll receive from the first contact until you touch down, back at home from the trip of your lifetime. Eclipse's specialties include experience-filled adventures, small ship cruising, honeymoons, family trips, world class treks and luxury travel. All you have to do is tell Eclipse about your ideal trip and they'll do the rest! Eclipse works hard to differentiate itself with its superior product offering and exceptional service. Eclipse has carefully sourced leading products and the best possible local operators at each destination to ensure you enjoy your adventure at an optimal level without any hassles. But don't just take our word for it, order our brochure and begin to experience the Eclipse Travel difference. "Had a wonderful trip, not a single problem. Accommodation, flights guides were all so well organised. Could not fault any aspect of the holiday. Would highly recommend Eclipse Travel." 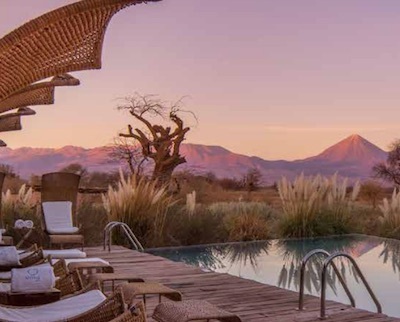 "Eclipse Travel gave me a once in a lifetime chance to celebrate a milestone (60th birthday) with my husband around South America, a place with so much to offer at an affordable price with all the exciting memories to always linger. Highlight is celebrating my birthday with the community of Favela Cantagalo in Rio arranged by Eclipse Travel. What an experience that is...giving and sharing and having fun with them. Eclipse Travel did not only arrange all our tours and hotels and my birthday party with Favela Cantagalo but also donated cash to the Favela. What a giving and inspiring mob...hope they branch out their travels to other continents and places of the world and not just South America. Couldn't fault them with the tours and hotels too...spot on Eclipse Travel...more power...may your tribe increase. " "Eclipse Travel organised our trip to Sth America and the Antarctic. We have travelled with other agencies before, however this trip was beautifully organised. Best trip ever!" From Patagonia to Peru, and the Andes to the Amazon, South America constantly amazes.The range of activities on offer in South America is astounding with something for every taste whether it be hiking through Torres del Paine in Patagonia, wildlife watching in the Amazon or relaxing on a yacht in the Galápagos Islands. Alternatively, if you love the buzz of the city then maybe a tour of Buenos Aires followed by an evening tango show or a visit to the breathtaking Corcovado 'Christ the Redeemer' statue in beautiful Rio de Janeiro. South America also has some hidden gems such as the Salt Flats in Bolivia, Angel Falls in Venezuela and the Pantanal in Brazil to name a few. South America was made for travel and adventure. Its sights and sounds offer something for everyone. Learn about ancient cultures, wars and revolutions whilst discovering steamy rainforests, tropical beaches, inspiring desert landscapes and cosmopolitan cities. Witness unique wildlife while trekking stunning trails through the Andes and Patagonia. Sample delicious cuisine while watching football with the world's most passionate fans. Or simply let yourself go, dancing the night away to Salsa and Samba. This remote archipelago is a wonder of lava formations, cactus forests, lush green highlands, turquoise bays and tropical beaches. However, the main attraction is, of course, the utterly unique range of wildlife found only here. The Islands provided inspiration for Charles Darwin's theory of natural selection and what's truly special in the Galápagos Islands is that the animals have no natural fear of humans and allow us to approach them at close range. Eclipse Travel's small ship cruises and land-based experiences will give you the opportunity to watch giant Galápagos tortoises and Blue-Footed Boobies in the morning and snorkel with sea lions and marine iguanas in the afternoon. Central America boasts diverse highlights ranging from majestic Mayan ruins through to pristine white sandy beaches, rich tropical rainforests and well-preserved colonial cities. Central America is made up of Mexico, Cuba, Belize, Costa Rica, El Salvador, Guatemala, Honduras, Nicaragua and Panama and certainly has plenty to offer. As a standalone destination it can cater to any individual, whether you want to scale a volcano, or simply sit back relaxing on a beach while taking in a magnificent sunset over the Caribbean. Whilst not technically in Central America, Cuba offers a fascinating side trip in this unique tropical wonderland with a rich historical past. Take a vintage car around Havana, live life like Ernest Hemingway, sip on cheap mojitos and learn to dance salsa – you won't be able to escape it! Other attractions of Central America include the volcanoes in Lake Atitlán, the Cloud Forests of Panama, the colourful markets of Chichicastenango and the biodiversity of Costa Rica, which will leave you speechless. With so much to choose from, the only problem you will have is choosing which ones to miss out. With a landscape that almost defies description, a journey to Antarctica is simply life-changing. Travellers are invited to join Eclipse Travel on a small ship expedition cruise as we explore the planet's most remote continent with its unspoilt, awe-inspiring scenery and incredible wildlife encounters. People who ordered South America | Galápagos | Central America | Antarctica also ordered the free travel brochures below. Click on the images to find out more about these brochures.